What do you get when you ask the creative culinary minds from Centerplate to re-imagine fan-favourite chicken tenders, and add a little spice? Answer: the new Buffalo Chicken Tender Burger. 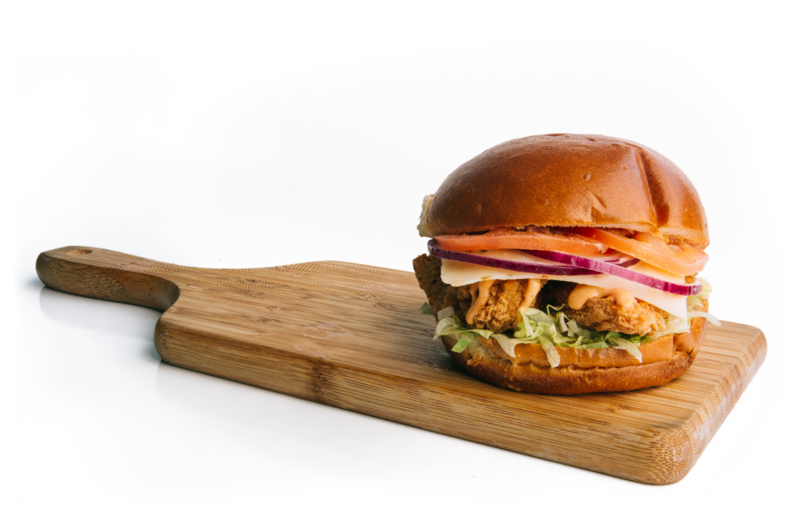 The burger combines crispy buffalo chicken tenders, fresh lettuce, tomato, onion, jalapeno Havarti cheese, Frank's RedHot and mayo on a soft brioche bun. "Our top-selling hot food items are chicken tenders," says Dan Johnston from Centerplate. "In recognition of this, we wanted to offer a further version in burger format with some spice. That's how the Buffalo Chicken Tender Burger was born." The Buffalo Chicken Tender Burger is just one of several new menu items, including Crispy Shrimp Tacos at Steveston’s Fish & Chips, Butter Chicken Curry from Bombay Kitchen, a gluten-free Fiesta Burrito Bowl at Beast on Fire, as well as the Instagram-worthy Outrageous Burger from Lionsgate Grill. "We are constantly striving to keep our menu selections balanced with items that are fan favorites, and expected to be available at sporting events, with items that are new, on-trend, unique and hopefully memorable for fans attending a sporting event or concert." The Buffalo Chicken Tender Burger is available at Lionsgate Grill - sections 206, 215, 228, 242 and 254. Click here to view a full list of BC Place food and beverage options.